Welcome Mr. Jazz! Thank you so much for taking time to chat with me today. Could you start by introducing yourself to us and telling us what made your story such a good fit for the Rescued anthology? Sure thing! 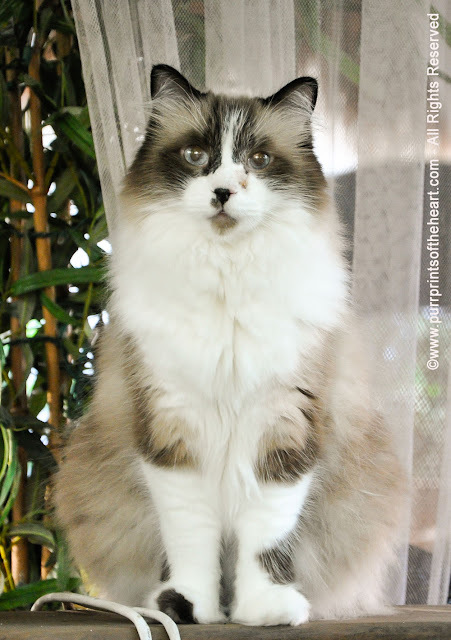 I’m a handsome and distinguished bi-color Ragdoll cat, or I should say, I was a handsome and distinguished bi-color Ragdoll cat. 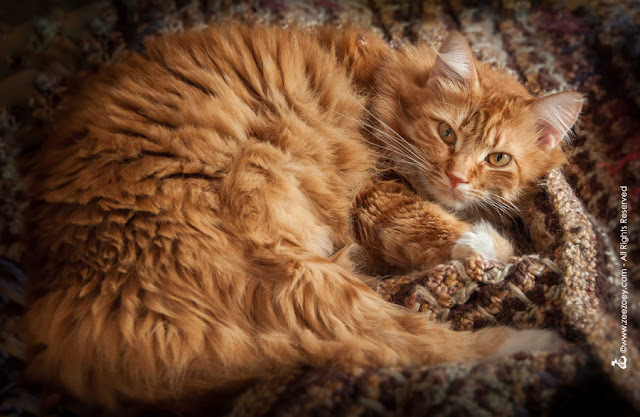 Right now I’m an angel cat with the prestigious distinction of narrating the meow memoir, Purr Prints of the Heart – A Cat’s Tale of Life, Death, and Beyond. After the heartbreaking decision from my humans to help me, I went to the Rainbow Bridge at 15-years of age on August 28, 2013. That’s why my story for the Rescued anthology was such a good fit… I knew I had a unique story to tell by sharing the journey of how I, as an angel, came to guide my heartbroken humans to finding Jazmine – a sweet and sassy rescue kitten (and my namesake) they weren’t looking for that ended up rescuing them instead by bringing love and joy back into their lives. For a while after you left for the Rainbow Bridge you "visited" your mom. Do you think that helped you both cope with your physical separation? I visited my mom several times and when it first happened it was really weird and awkward. Being a spirit was new to me and I wasn’t sure if I was helping her, or scaring her. But ultimately, yes, once she got over the shock of it, I think my visitations brought her comfort and she looked forward to them. I had already made peace with my journey to the Bridge. I was very tired and sick before that and I wanted to go. I had lived a wonderful life with my mom and my coming back to her, especially by bringing her to ultimately finding Jazmine, was my way of letting her know I would always be a part of her heart and never far from her memory. The story you wrote for Rescued 2 is actually the story of how your sister Jazmine came into your humans' lives, with your help. How did you know Jazmine was the kitty meant to fill the empty space in their hearts that you left behind? Just like my mom, I’m a firm believer in things like fate, destiny, and kismet. I can’t say I immediately knew Jazmine was the key to filling the empty space in my humans’ hearts, but once the clues started to fall in place, I knew she was the one. It all started with me communicating with my mom during one of my spirit visits that she had to go to the Global Pet Expo, a trip she was planning on cancelling because she was still so depressed after losing me. I didn’t understand why it seemed so imperative she go, but my intuition was telling me it was and I pulled out all the stops to convince her, even making direct eye contact with her for the first time and gently letting her feel my presence on her lap. She and I always shared a special bond and it was like she understood I was leading her on a journey she had to fulfil. My Mommy is convinced that Angel Truffles sent me to her as well. Has Jazmine proven herself to be the perfect fit for your family as you knew she would? Oh my gosh! If there was ever a cat meant to be with my family, it’s her! Honestly, it’s like she was custom-created from the heavens above with the pure objective of being put on this earth to make my humans happy! There is not a single day that goes by that she doesn’t do something to cause them to laugh or smile and it gives me tremendous joy to see how much she has enriched their lives. As a matter of fact, just this past week, my mom had a procedure for a serious eye injury. Just like I used to do, Jazmine is sticking to her like glue to help her get better. She’s got so much of me in her that sometimes my mom swears it’s me she’s seeing or hearing, and not Jazmine. Jazmine carries toys in her mouth to bring to mom, and with nearly the exact same meow I had, she drops them at her feet. Plus, even though she can kinda be a spoiled brat (it’s nearly impossible for the humans not to spoil her) all of the other cats in my family love her, too and it’s like she’s been a part of the family her whole life. What's life like for all of you now, both at the Bridge and here on earth? Well, for me, I’m quite content at the Bridge. Yes, there have been some sad moments. Like when my sister cat Harley had to come to the Rainbow Bridge at far too young an age. Or so many cats from the blogosphere that are so beloved that have also joined me over the years. But we make the best of it – we watch over our humans and it makes us happy when our humans can open their hearts to other rescues that need a good home. On earth, well, there seems to be so much strife lately and I know it’s a stressful time. I see so many kitties working overtime, trying to bring some calm, peace, and happiness into their human’s life. And honestly, why not? We kitties are great at that and it’s all the more reason every household should adopt a rescue cat or two, because we’re awesome, we deserve a good home, and we make incredible companions! Purr therapy does wonders for the heart and soul! I chose Riverfront Cats Miami because they are near and dear to my mom’s heart. Riverfront Cats is a small, grass roots organization from Miami, Florida and is always in need of donations to help take care of local outdoor neighborhood cats and fostering efforts. With temperatures warm nearly year-round, kitten season rarely lets up, so there are always cats in need of help. 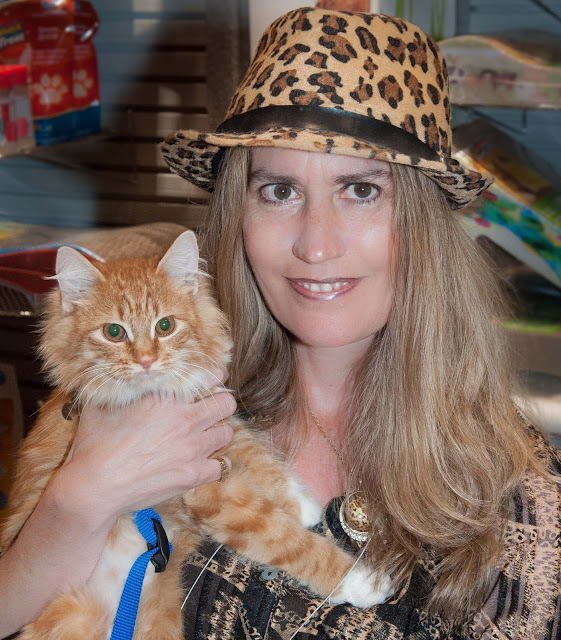 Gorgeous lady and Founder of Riverfront Cats, Christine Michaels, devotes her time, heart, and pocketbook to helping the community cats in her area, especially the black cats that are most often abused or overlooked for adoptions. Between TNR, food, veterinary costs, and more, it’s an expensive endeavor and they really, really could use some help! I hope that people learn that sometimes you have to look beyond what you think you’re supposed to do. After my death, my mom wasn’t looking for another cat. 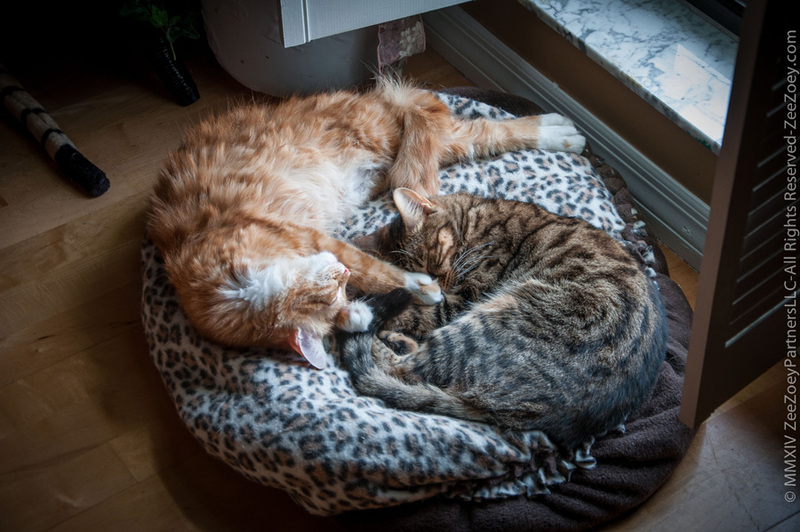 Quite the contrary, she was certain she didn’t want another cat, but meeting Jazmine changed all that. Opening your heart and home to a rescue not only changes the life of the cat, it changes the life of the human. As far as my lasting legacy, it’s the one I share in Purr Prints and it’s the purr-fect sentiment for the Rescued series – for those that have loved and lost a cat, we know we will always be special in your hearts and you are not looking to replace us if you chose to adopt again. 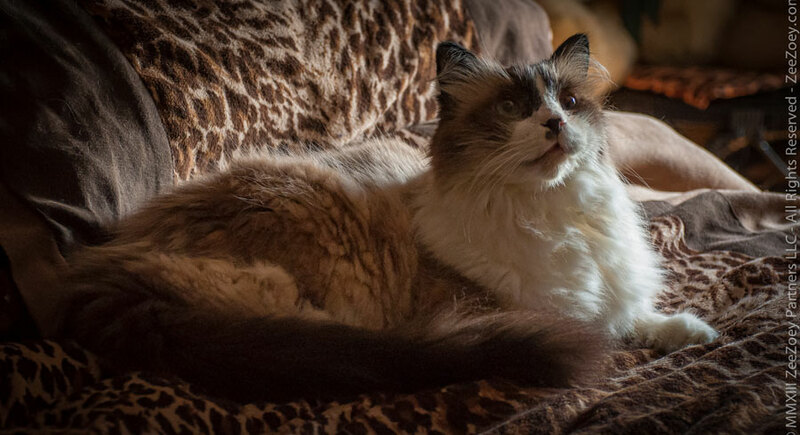 Quite the opposite – we take great pleasure in knowing another cat in this world will have a life filled with love, comfort, and happiness the way we did. Rescued is all about that and I am so honored to be a part of a book that shares that special message. BIO: Deborah Barnes is the author of the award-winning book, Makin’ Biscuits – Weird Cat Habits and the Even Weirder Habits of the Humans Who Love Them; as well as Purr Prints of the Heart – A Cat’s Tale of Life, Death, and Beyond; The Chronicles of Zee & Zoey – A Journey of the Extraordinarily Ordinary; and contributor to Rescued Volume 2 – The Healing Stories of 12 Cats, Through Their Eyes. She is the publisher and editor of the award winning blog, Zee & Zoey’s Cat Chronicles and is the Vice-President of the Cat Writers’ Association. She was awarded 2013 “Writer of the Year” by Friskies Purina and is the Secretary of the nonprofit, Pawsitively Humane, Inc. of Miami, Florida. Her freelance work has been featured in Cat Fancy magazine, Kittens 101, Catster.com, BlogPaws.com, and the American Association of Human-Animal Bond Veterinarians newsletter. Jazz's story about Jazmine was one of the most unique and special stories in either Rescued book! So good of Jazz to lead the family to finding Jazmine. She is a mighty cute kitty. 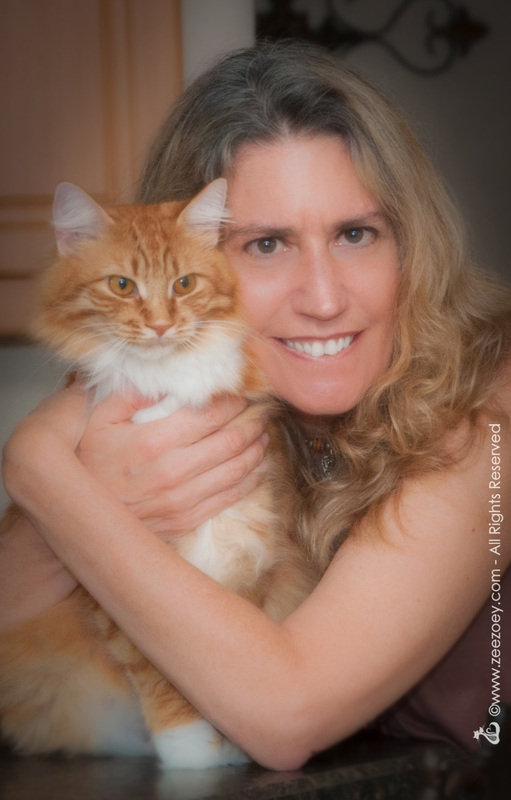 Thank you so much, Mudpie, for the honor of being interviewed on your blog for the Rescued series. I really enjoyed taking a break from above to share the special story of how I came to bring Jazmine to my humans. She's quite the character and I think everyone will enjoy reading about how she came to be rescued and the quite unusual connection surrounding her name! Mudpie, what a great interview with Mr. Jazz. We love him, and are so happy about Jazmine finding her way to Deb and Dan’s loving home. We especially love her name and just how purr-sistent Mr. Jazz was about getting Deb to the Cat expo! Thank mew for featuring these stories. 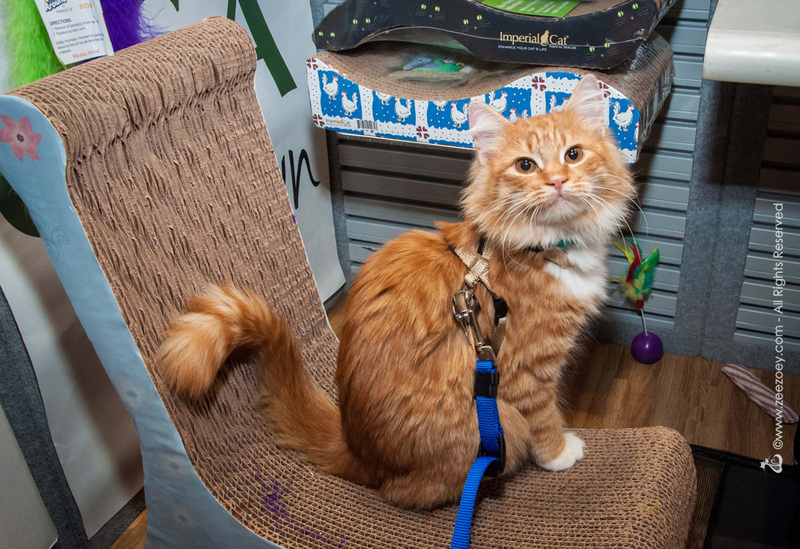 We Squeedunk cats are all rescues, so this is an important topic to us! What a great story! Mr Jazz did an excellent job of matching his family up with Jazmine. Such a wonderful story! Thanks, Melissa and Mudpie. What a beautiful, touching story Mr. Jazz has to tell. His mom was so lucky to have him here on this earth with her, and now to have his beautiful successor Jazmine. Thank you for sharing these wonderful interviews with us, Mudpie! How fantabulous! 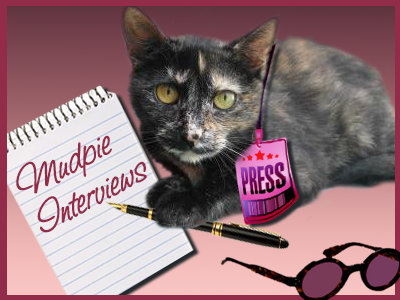 Mudpie, how was it for you, to interview a spirit kitty? We LOVE Jazmine! She's always near her Mom - and you can tell how devoted she is. Mr. Jazz is one handsome boy too :) I love the idea of our angel kitties looking out for us. Great interview. I have both Rescued books and I loved every story.